I wanted to offer you an example of that mentoring, a sneak preview of what I think awaits us all, once our star family lands and makes contact with us. Here is me, wrestling with Archangel Michael over doing live broadcasts. I know he wants me to do them but I’m reticent. So I asked him…. Steve Beckow: What is the nature of my block to public speaking? Archangel Michael: First of all there is concern. But this is, of late, [concern] with your [lack of] ability to remember everything you want to say. (5) But that is not the core of this concern. Because you know that opinion, even when it is of truth, interferes at times. And we are [referring to] people who are lacking clarity in the moment. They adopt your path instead of following their own. (8) So you are extremely reticent to do that. When you speak in that way, what you are doing, and I encourage you to do so, as a human being, you are sharing the experience and the expression of your divinity and that is absolutely a necessary part and parcel of Nova Earth. If everybody keeps quiet about what they know, you aren’t going anywhere. And you have no difficulty in doing this as a scribe, as a writer. But there is this reticence. Think of it. You are making a public announcement. You understand from Arcturus and elsewhere, the power of sound and what is truly included and encompassed in sound, which is energy and light and love and truth. So you are reticent to be the clarion call. Apart from Hour with an Angel, I’m still not ready to quit my day job writing, but I’m a little more open to live broadcasts. And I do get that some day I’ll need to be doing them. (10) By then my fears will probably have been addressed. But is this not a foreshadowing of what our mentoring relationships might be like after Disclosure? (1) Spiritual Hierarchy and the Galactic Federation Update, as received by Sheldan Nidle, July 1, 2014 at http://www.paoweb.com/sn070114.htm. (2) Sheldan Nidle, Aug. 29, 2017. (3) SaLuSa, April 20, 2011, at http://www.treeofthegoldenlight.com/First_Contact/Channeled_Messages_by_Mike_Quinsey.htm. (4) SaLuSa, Sept. 7, 2009. (5) Since 2012, I’ve been unable to remember anything short-term. My long-term memory is fine. AAM has said they want me not to concern myself with the Third Dimension but to forget about it. He’s also said most recently that my memory will be returning soon. I used to have a photographic memory. (6) My Dad was very quick to judge. I’m sensitive to judgments from males and tend to seek approval from females. These are vasanas or core issues. (8) Yes, please don’t do that. Each of us has a unique path. I write about my own journey just for inspiration, not as some lock-step formula. If you get into lock step, it may be OK for a short while but you’ll only have to break out of it later. 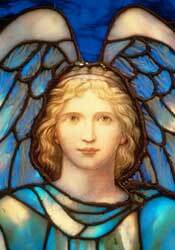 (9) Archangel Michael in a private reading with Steve Beckow through Linda Dillon, Jan. 20, 2016. Terry hosted me and Kathleen when we passed through Cannon Beach on the West Coast Express. What an active, passionate group we met there. Twenty years ago as I walked across the dune to the beach, I had an extra-dimensional encounter with the light being called Jesus. When we have those experiences, we temporarily shift into a different reality, an altered space, and our only focus is on what we are experiencing. It’s vivid. It’s impactful. And it changes who we are. In that space, in that brief moment that was beyond time, this light being appeared in his familiar physical form and shared that his teachings on Earth had been compromised. It was all about Love, interconnection thru Love, he told me, and I would soon be sharing that Love with other people. And not just me, but many would be doing this. At that time in my life, this was about as far out of my reality as the planet of love itself, Jupiter. I couldn’t understand how it would happen, or why I would be involved, a person raised without religion. But as I have cleared my old patterns and beliefs over the last two decades, what has arisen inside me is Love and the realization, the feeling, the knowing that—just like the Beatles sang—All you need is love. And in the last few weeks, there’s no longer any effort involved. It’s just happening. I don’t have to try to share the energy of Love, it’s just emitting from my newly wired system. And I am being told this: Our systems are all being wired for Love, because this is who we are. The essence of who we are is Love, despite what we might have learned during our time on this Earth. I never thought I would ever be someone talking about Love, but yet now that I am experiencing my rewired system, Love is what is happening. This is what will be happening to everyone. So if you need to get ready, please do. Although it I don’t know how you would prepare for this, except to surrender all your old ideas and encumbrances. But here is what is coming thru: Love is All there is. Our systems are being rewired by the intense influxes of Light currently coming to the planet, and as we are wired for this new circuitry, we may experience a host of physical symptoms: spaciness, sleepiness or the inability to sleep, random aches and pains, no appetite or increased need for food, occasional blurry vision, and more. We may be fatigued and need a lot of rest. We become more sensitive, we might need more time alone. We may be overemotional. We lose our tolerance for the antics of the 3D world. We don’t want to stress the body too much as it goes thru this process. We want to be kind to ourselves and allow what is coming thru to come thru as the energies continue to intensify to push us into the frequencies required. And then, when we are ready, the SOLAR LIGHT is lit and the flame goes thru us and the energy of Love begins emitting. When this happens to us, we become magnetic. We pull others into this space when we interact with them. We experience joy and sometimes giddiness. The old world loses its appeal. We stop giving it energy and attention. Our energy goes into creating more of the new. We create by thinking about what we want, and we watch as it comes into being. Energy turns into matter. This you shall do and more. When this first starts happening it feels like magic. But it soon becomes completely normal. What comes into my mind is a Mayan term I first heard years ago, that we are surfing the zuvuya,the inter-dimensional thread from the galactic core. It is a fluid space of creation, peace, joy, Love and unity. It is a space of synchronicity, where what you are creating based on your new resonance arrives in your new reality on fluid waves from the multidimensional spectrum. It is a dynamic space and we are currently learning to navigate this space and to use our creative powers in it as we emit Love. We are going moment by moment and feeling our way, sensing what is needed as we go. And this is just another step in the process of ascension and embodiment of our divine consciousness and multiple multi-dimensional aspects. We are adapting to all of it as quickly as we can, learning all there is to learn, and feeling our way in these new frequencies. And please, trust yourself in this knowing: we’re becoming masters as we summon, from our own divinely infused cells, the physical reality of New Earth. When I posted this piece, the word count was 777. Just for fun, I looked up the meaning of 777 and found: You’re acting in perfect synchronicity with the universe. And this is what I am finding as we enter this new space: everything is synchronized. Everything is working for our higher good. Everything is coming together for us to experience life on New Earth. Everything is clicking into place for this new Love-infused crystalline consciousness to be the energy that we emit, that we receive and that we experience as the way things are.